Akit's Complaint Department: Clipper and WageWorks - Will the Problems Return September 1st? Clipper and WageWorks - Will the Problems Return September 1st? 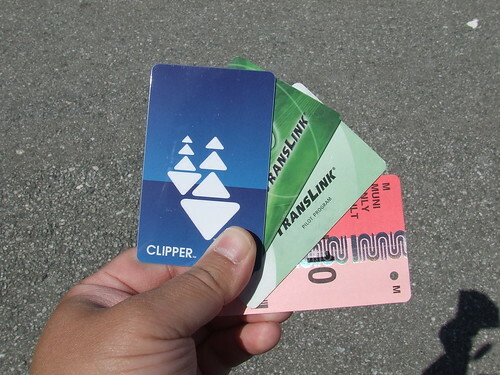 We are a week and a half away from the month of September and that means for you Clipper folks who get transit benefits: will it be loaded in a timely manner? If you recall from August 1st's panic, WageWorks users who gets their funds/passes direct to their Clipper account experienced some unfortunate hell for the first few days, and damage control on Clipper's end had to come in and mop up the mess by issuing reimbursements. I'm a little wary of the still murky relationship between both organizations ever since the Clipper board mentioned it in their minutes from their April meeting. We'll see... or the PR department will be trying to patch up the next leaky ship. Last note: Sorry for the delay in posting a new entry. It's been quite busy at work and I've been coming home exhausted. This Wageworks to Clipper transfer problem is nothing new. I experienced this twice over two years ago when Clipper was called Translink and I was involved in the pilot program. Customer Service was uneduated about their product and completely unhelpful. They ended up throwing $50 in free commute fares at me to shut me up. I contacted MTB and AC Transit and anyone who would listen about this problem. The fact that they are STILL having this problem is a huge red flag. Come September, chaos. I switched two years ago from auto-transfer to debit card and never looked back. Amy: Thanks for talking about your experience. Just like you, I've switched to both debit cards and paper vouchers for the same issues; it's what I've always recommended to everyone who reads my blog.